A southern First Nation recently announced plans to establish first climate change monitoring stations on reserve lands. On October 6th, the Okanese First Nation in southern Saskatchewan placed a total of four of the real time stations throughout their lands to record, report, and disseminate climate conditions. The longest-serving woman chief in Canada, Marie-Anne Daywalker-Pelletier, said the stations are part of a broader project that is a long over-due first for her community. Kikawinaw Askiy is Cree for Mother Earth and is the first project in the Okanese community to focus solely on the well-being of the land that incorporates indigenous and western scientific knowledge, which is supported by Crown-Indigenous Relations and Northern Affairs Canada (CIRNAC). 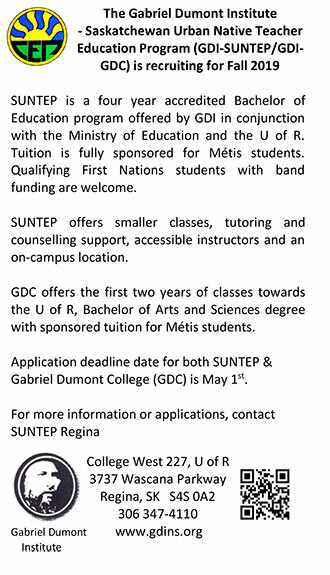 The University of Saskatchewan (U of S) is also a partner of this project. Dr. Krys Chutko, Climate Scientist, will also facilitate and oversee installation and project coordination. The project goal is to achieve reconciliation with Kikawinaw Askiy, which was launched last month, by restoring the community’s sacred ecology of how to live on the land in a respectful and life-sustaining way. Another key aspect is establishing a Climate Monitoring Network, which will incorporate the traditional knowledge of local Elders and provide science education benefits to youth. This initiative hopes to also create possible career opportunities for their community’s youth to consider an interest in science. Okanese member Cade Starr, 23, was hired as the community-based Monitoring Technician, and will be trained on how to monitor and maintain the systems. Since Okanese is entirely dependent on groundwater for drinking water supply, understanding rainfall and melt water recharge is critical to its future health and well-being and for surrounding First Nations and towns. Wild grass fires fueled by drought have increasingly become a concern to community members, and also threaten community infrastructure. Total funding for the project over three years is $125,000.